Andrea Selkregg and her husband, Malcolm, purchased a 960-square-foot (89-square-meter) home in north Portland, Oregon, and dubbed it the NoPo Farmhouse. Neglected and more than 100 years old, the house was in deplorable shape. 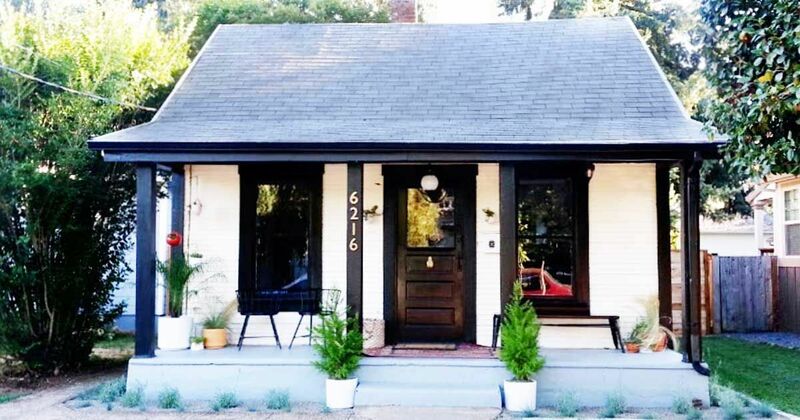 Restoring a historic property was her dream project, so Andrea jumped at the chance to renovate it. With the help of Andrea's brother, a contractor, the couple got to work giving each room a full makeover. You can see each step of the process in detail on their blog, The Little NoPo Farmhouse. They successfully transformed a shack in shambles into a bright and welcoming family home full of unique style. Take a look at the full tour below. It may be hard to believe, but the couple outfitted this beautiful, all-white kitchen on a budget. They bought everything on Craigslist, including the stove, refrigerator, dishwasher and even the cabinets. 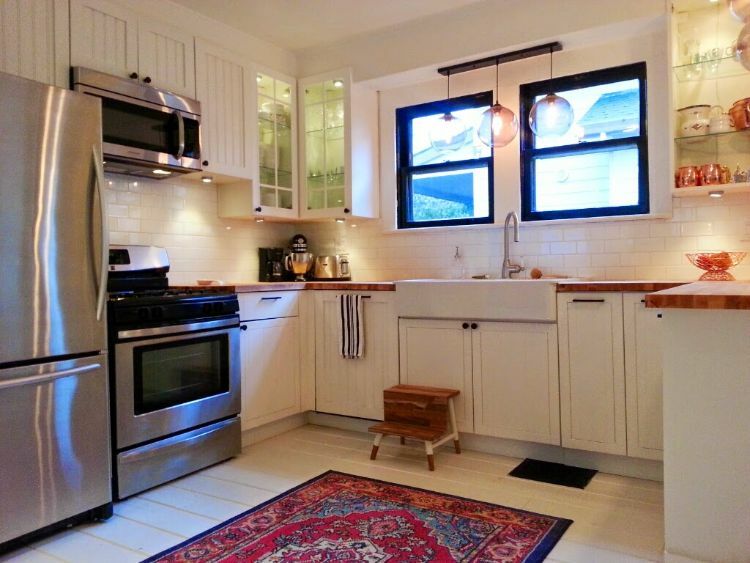 The butcher block countertops are practical and affordable. The kitchen opens outward to the dining and living rooms, creating one functional great room. The couple painted both the walls and floors the same shade of white, making the room seem more spacious and free flowing. A unique coffee table offers the focal point of the living room while the gray sectional provides plenty of comfy seating. 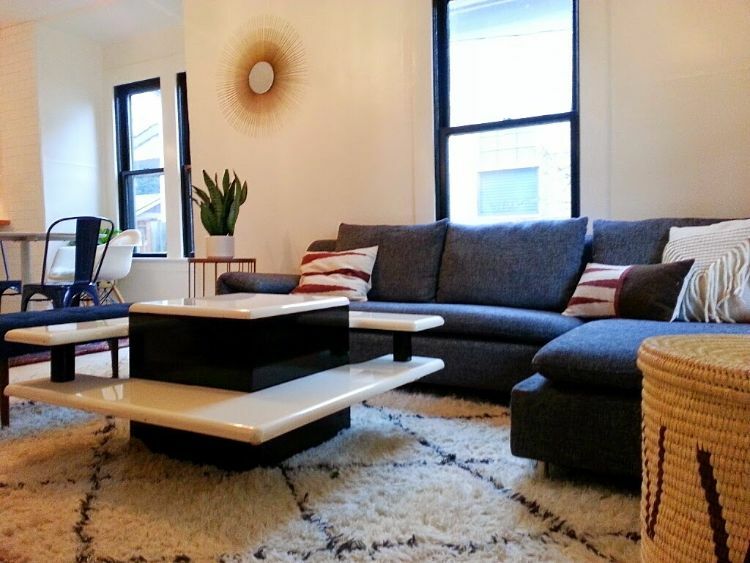 A shag rug offers contrast and softens the space. The bed in the master bedroom is a DIY project. 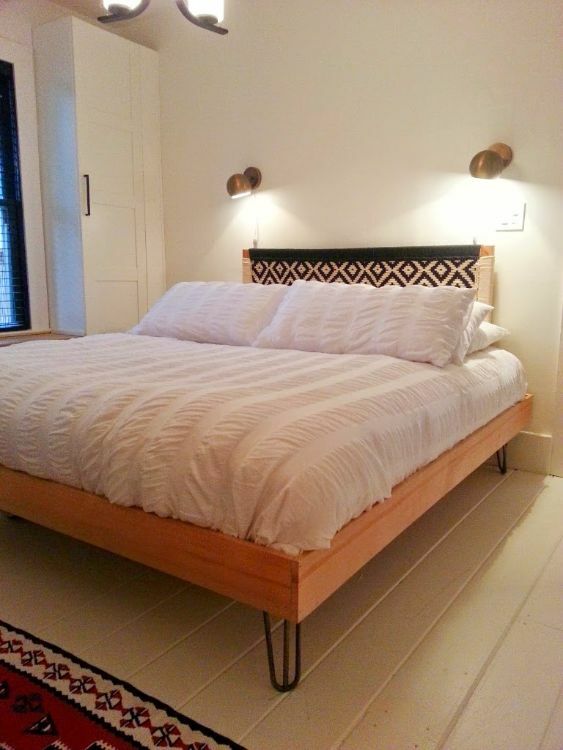 The couple built the bed with some of the leftover hardwood flooring planks and then added metal hairpin legs. The result is a clean and stunning platform bed that looks like it was purchased at a high-end store. 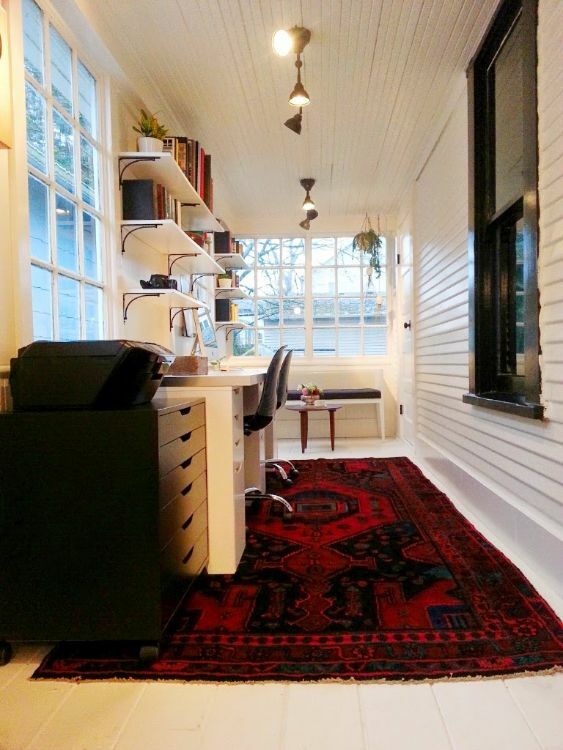 The sunroom functions as the office. Open shelves add interest to the space and create much-needed storage. A cute little window bench sits at the end of the room. 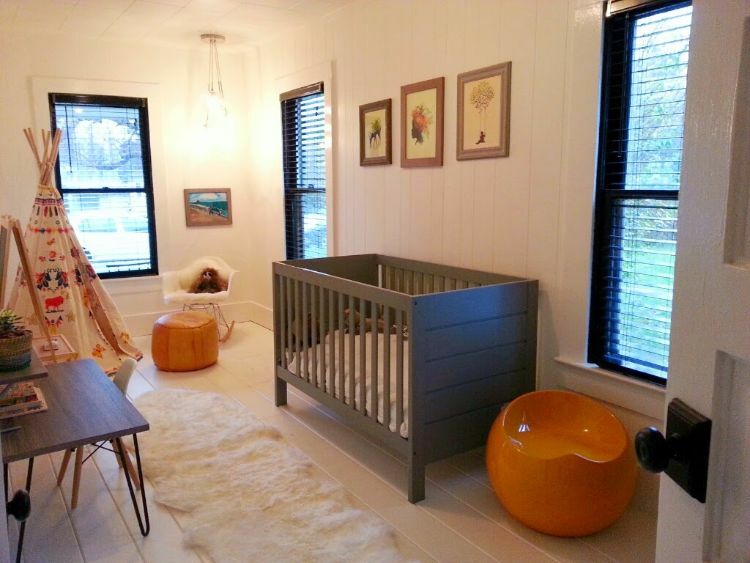 The nursery is sweet and welcoming with soft textiles and playful accents. The tepee adds a whimsical touch. 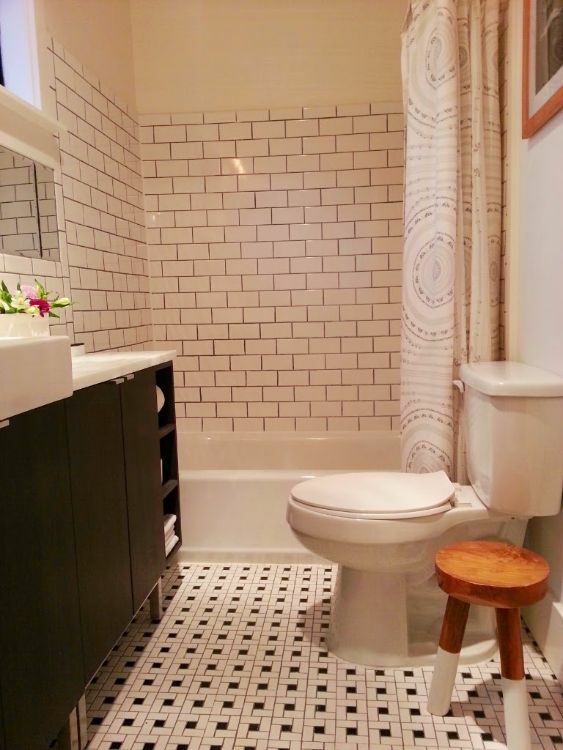 The bathroom is tiny, but has a simple, classic design with black and white tile and a neutral shower curtain. The IKEA vanity is an affordable option that adds both storage and style. 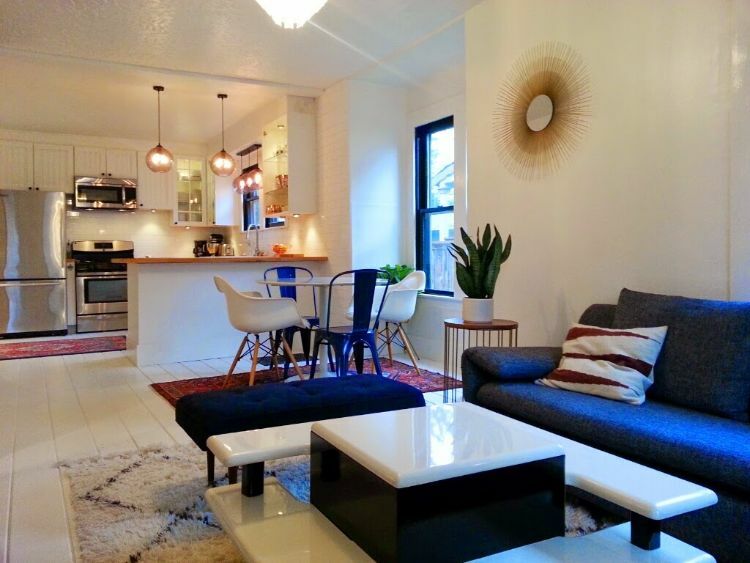 What are your thoughts on this spacious-looking cottage? Make sure to share it with your friends if you'd love to live in a place like this.